BRYAN EATON/Staff photo. 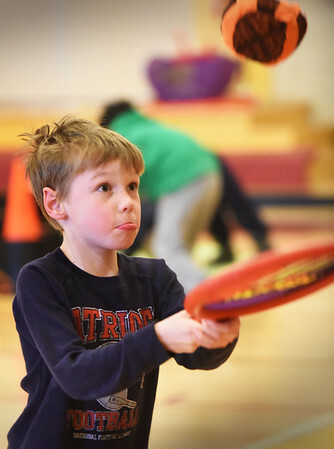 Will Blaser, 6, concentrates as he sees how long he can keep paddling the ball before it hits the ground at the Bresnahan School. The students in physical education classes do a review of skills they've learned every six weeks and this was one of the stations.